Morris L. Barer is Emeritus Professor in the Health Services and Policy Division of the School of Population and Public Health. He was the inaugural Scientific Director of the Institute of Health Services and Policy Research (one of the thirteen Canadian Institutes of Health Research). He was the founding Director of the Centre for Health Services and Policy Research, serving from inception in 1990 to 2001, and again from 2007 through 2012. 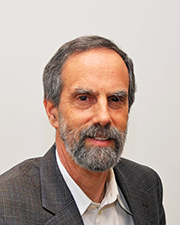 Dr. Barer has served on the Federal/Provincial/Territorial Advisory Committee on Health Services, as senior editor for Health Economics with the journal Social Science and Medicine, as a member and Vice-Chair of the Board of Trustees for the Canadian Foundation for Healthcare Improvement (and its predecessor the Canadian Health Services Research Foundation [CHSRF]). Dr. Barer delivered the Justice Emmett Hall Memorial Foundation lecture in 2004, and was the recipient of the Health Services Research Advancement Award (from CHSRF) in 2006. He is a fellow of the Canadian Academy of Health Sciences.